The kids love the Lego characters and the Star Wars setting. Adults will enjoy the Star Wars universe taking jabs and laughing at itself. C3PO tells the Star Wars saga stories. The shows are done in a very funny and entertaining way for both kids and adults. Definitely worth buying for the kids. 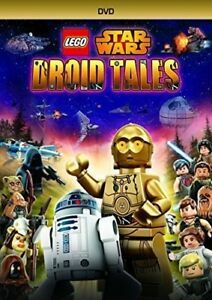 LEGO movies are great! Very entertaining and funny!